An overwhelming majority of borrowers do not know their home loan rate, with 86 per cent of Australians also unaware of their monthly expenses, a new study has revealed. The Know Your Number Index, commissioned by digital bank UBank, examined Australians’ knowledge of their household and entertainment expenses. The study was conducted on an online permission-based panel between Thursday 18 January and Monday 22 January 2018 and involved 1,015 people aged 18-64 years who owned their own home with a mortgage. The research found that despite a 3 per cent decline from the previous year, 82 per cent of Australians did not know their home loan rate (77 per cent of males and 88 per cent of females). 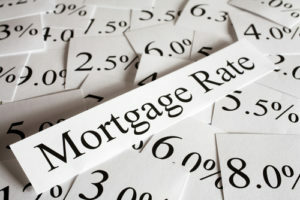 According to the data, NSW and ACT residents were least likely to know their mortgage rates (15 per cent), followed by Queenslanders (17 per cent), South Australians (18 per cent), Victorians and Tasmanians (20 per cent), and Western Australians (23 per cent). “While there was a slight improvement on last year, there are still too many Aussies out there who don’t know their mortgage rate,” CEO of UBank Lee Hatton said, encouraging borrowers to “do their research and stay on top of their mortgage rate”. The index also found that 86 per cent of respondents said that they were unaware of their expenses, with only 20 per cent stating that they had full control of their finances. Further, 59 per cent of Australians claimed that their current financial situation has caused them stress or loss of sleep, with 44 per cent noting that they’re “constantly worried” about their financial future. Additionally, the research revealed that only 22 per cent of respondents accurately know their credit card debt, with 5 per cent unaware of how much they owe. With only 28 per cent of Australians stating that they use budgeting tools, Mr Hatton noted the importance of household budgeting in minimising stress and supporting a balanced lifestyle. “While there’ll always be some costs we can’t plan for, it’s important budgets are created and stuck to, to minimise potential stress in the future,” the CEO added. “With the latest data from the Bureau of Statistics uncovering that the cost of living in Australia rose by 2 per cent last year and is the strongest pace growth we’ve experienced in 3.5 years, it’s never been more important to know your numbers.